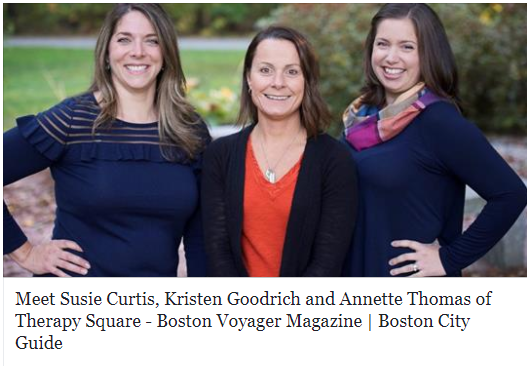 Check out our article in Boston Voyager magazine! Special thanks to Jennie Bishop at White Wave Photography for all of her beautiful photos! Back to School Flash Sale! ﻿﻿ALL CLASSES AT THERAPY SQUARE $99 THROUGH THURSDAY, AUGUST 31! Special pricing and class availability won't last long! Sign up before they're all gone! Our Summer classes were a hit, and we're so excited to offer you our Fall classes! 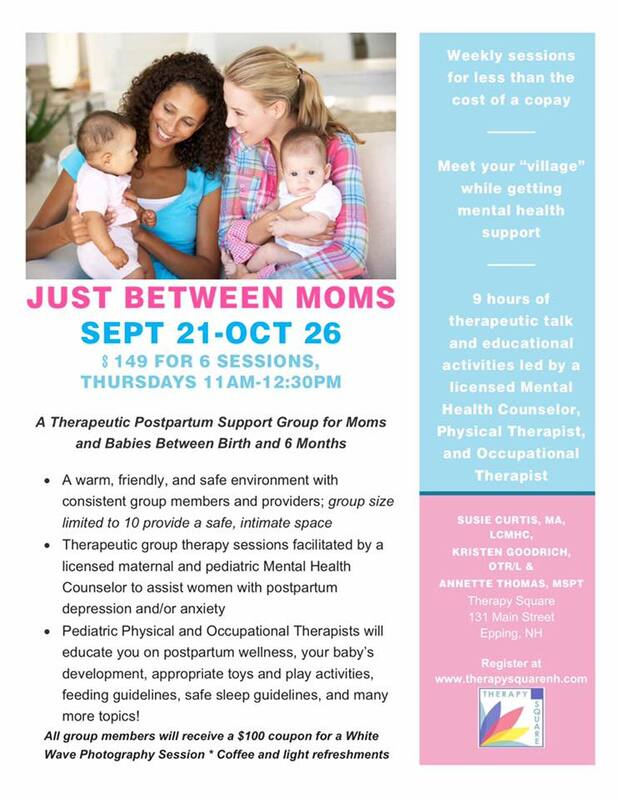 We have 2 classes to help support women struggling with postpartum depression and anxiety; one for newborn-6 month olds, and one for 6-12 month olds. 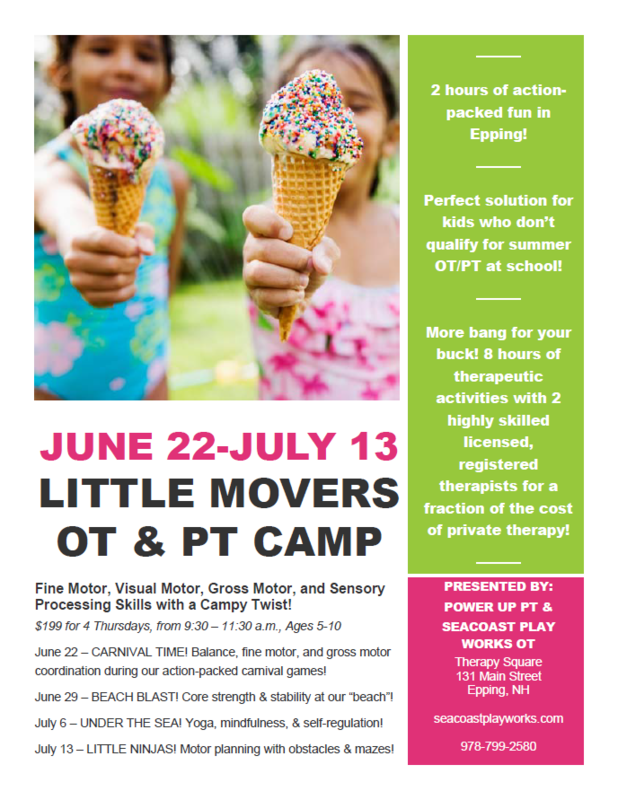 We'll be breaking out the therapy trifecta for these, and will have a maternal and childhood Mental Health Counselor Susie Curtis, LCMHC, pediatric Physical Therapist/Lifespan Fitness Guru Annette Thomas, MSPT, and myself, Kristen Goodrich, OTR/L, a pediatric Occupational Therapist, there to help teach about postpartum recovery and fitness, developmentally appropriate toys, safe sleep recommendations, and so many more fun topics. 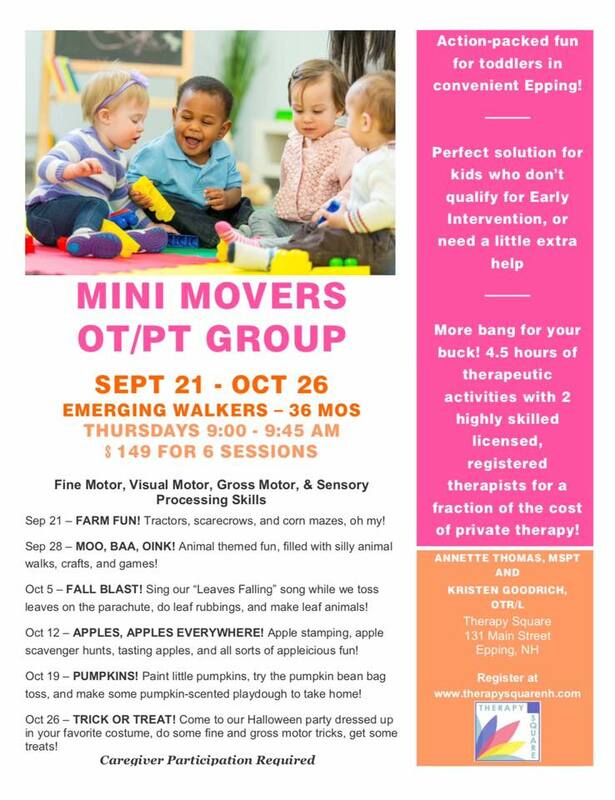 Annette & I will also be hosting a super fun OT & PT Group for emerging walkers through toddlers (Mini Movers) and preschoolers (Little Movers), filled with action-packed Fall fun, such as making pumpkin scented playdough, taking a shot at the pumpkin beanbag toss, apple stamping, and so much more. 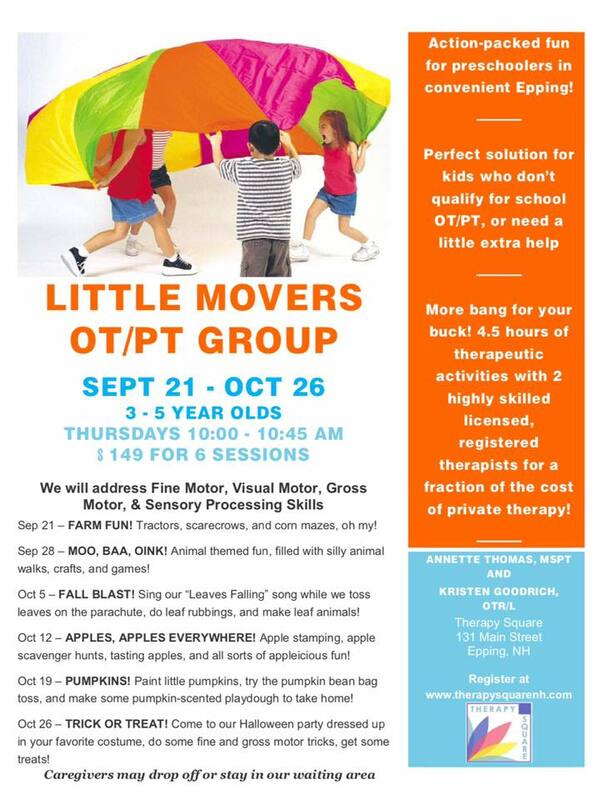 All the while, we'll be assessing and facilitating your child's sensory processing, fine, visual, gross motor skills. Dig out your best flannel, grab a pumpkin spice latte, and get ready for Fall...hope to see you at the Square in convenient Epping, NH! 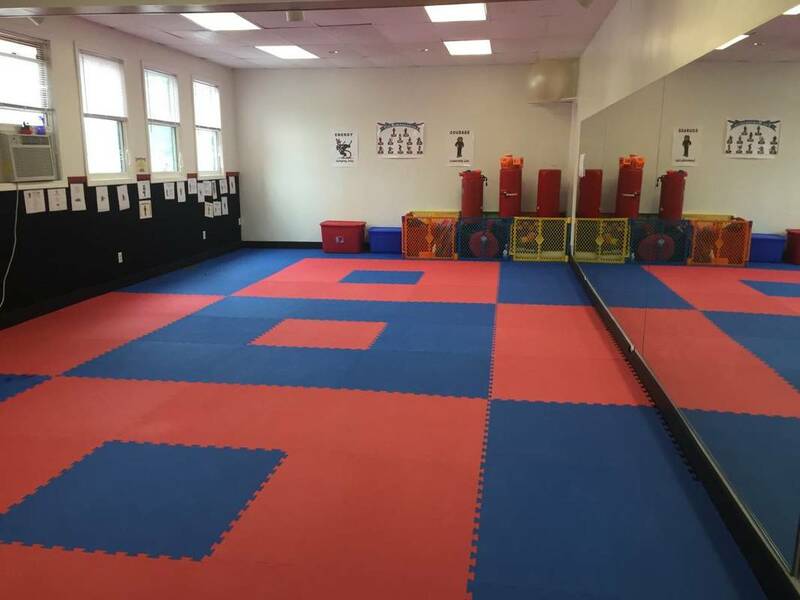 All Classes at Therapy Square on Sale for $199 Through 5/1! APRIL VACA SALE!!! 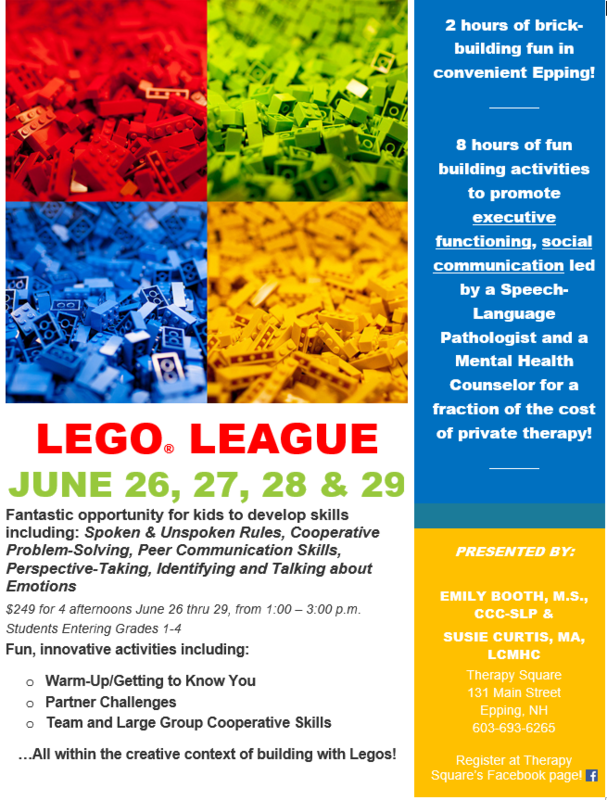 Sign up before the end of April Vacation for Super STEM or LEGO League therapeutic camps and receive a $50 discount off the total price! That's 8 hours of time with two licensed therapists, not 15 year old CIT's! 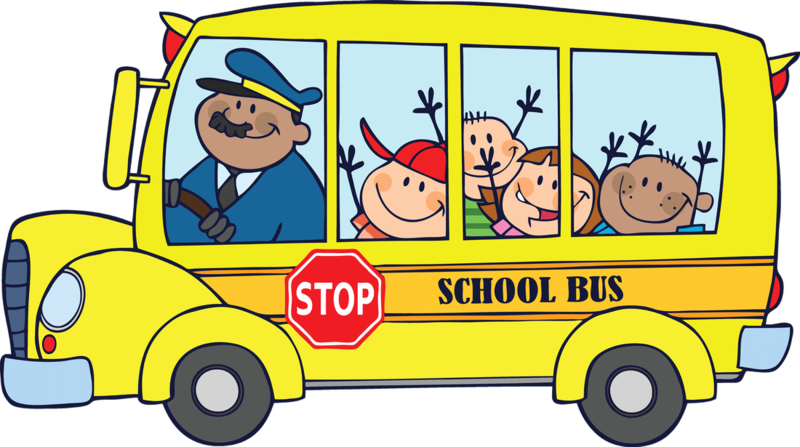 Best suited for kids between 1-6 grades who may have ADHD, anxiety, sensory processing, speech, or social concerns, or a trauma history! Sale ends May 1! 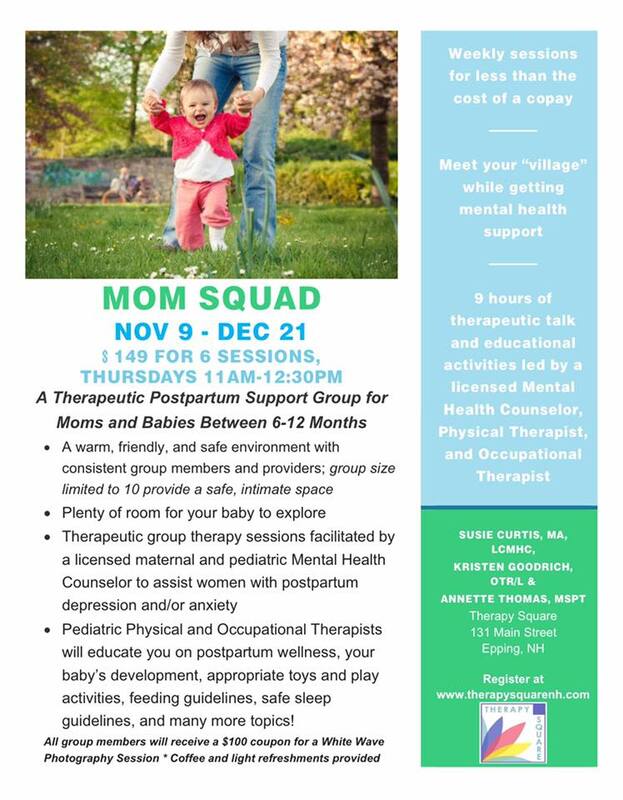 Visit http://www.therapysquarenh.com/classes.html to register! Another fun camp is on its way to you, Seacoast NH folks! Perfect for kids entering grades 3-6, this camp will explore STEM principles in a fun, therapeutic environment. 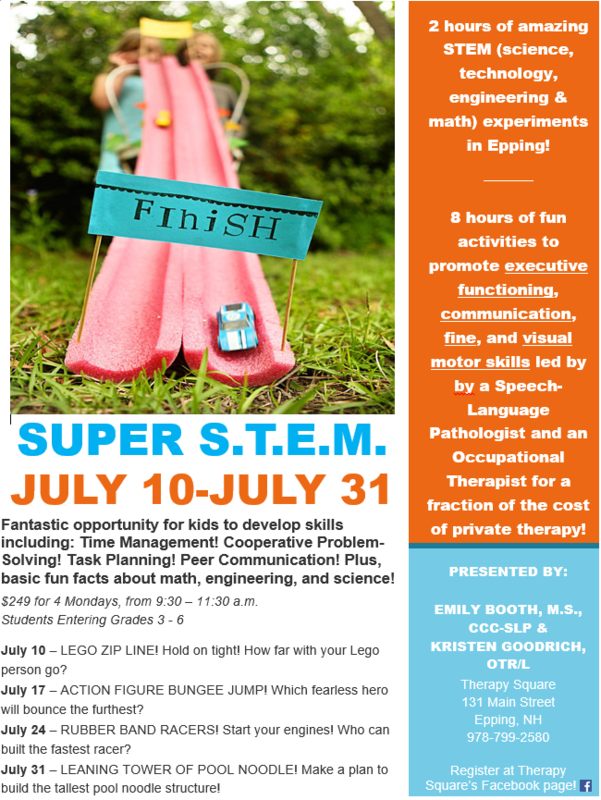 Lessons will be geared toward learning Science, Technology, Engineering, and Math principles, but will be interwoven with lessons in social pragmatics, communication, fine motor, and visual motor skills as it will be led by a licensed Speech-Language Pathologist, and a licensed Occupational Therapist! ﻿New Clinic Space Coming Soon! I'm so, so excited to share my news...I'll be opening my own clinic space this spring! It's in the beautiful historic Leddy Center building at 131 Main St. in Epping, NH. The gym is complete with a mirrored wall (so perfect for motor planning, body awareness exercises, drawing with window markers...endless fun! ), velcro wall, cushy foam flooring, soft natural lighting, and oodles of space. Sensory swings will be coming, and I'm in the process of nailing down a contractor to come do the work! ​One of the best parts about the new space is that I'll be under the same roof as my good friend and colleague, Susie Curtis, LCMHC, who has been running her own solo maternal and pediatric mental health practice called More Than Words Counseling Services for 5 years. 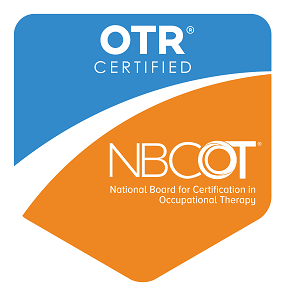 We're affectionately referring to our space as Therapy Square, as our visions for the future involve having Mental Health, OT, PT, and ST services all under one roof. Our goal is to bring small business back to healthcare, with the added convenience of multiple practitioners sharing a space. Did you know we'll be the only OT and Mental Health Counselor who share a space on the Seacoast?? 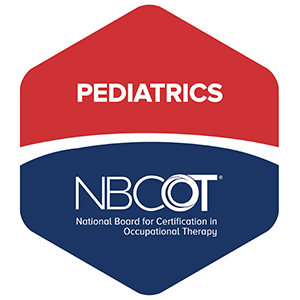 Pretty exciting, especially for kids learning to cope with anxiety, self-regulation, and general behavioral skills. I'll keep seeing current and future clients in the community as well, but am transitioning to having the majority of my kiddos come to the clinic. Here are some pictures of the space emptied out...it will be way more fun once I fill it with my OT toys and swings! Photo from real estate listing...it'll be even more fun once my OT toys and swings are in there!! Hi everyone...it's been a crazy 8 months since I last blogged, but it's happily been due to sheer busyness with my business (see what I did there?? ;o). I have so many little friends who are visual learners, and I wanted to come up with a solution for a visual chart that was more fun, motivating, and play-based than the typical icons. I was inspired by one of my favorite preschool teachers, Wren Hayes at Building Block School in Exeter, NH who uses a similar setup to teach kiddos to put on their winter clothes (clearly we're blessed with extra parenting challenges up here in New England!). 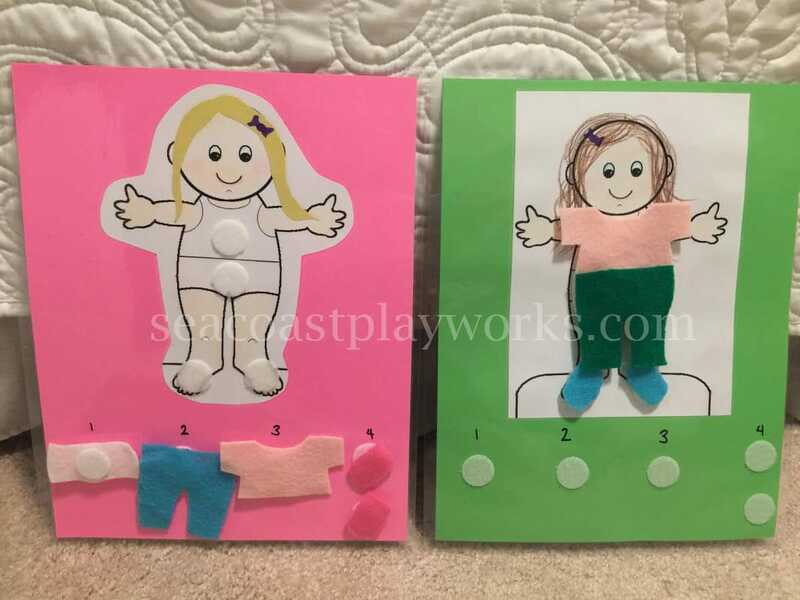 Visual charts like these can help children learn sequencing, body scheme/awareness, spatial relations, and basic activities of daily living in order to promote overall confidence, independence, and motor planning through functional activities (the core of Occupational Therapy!). Thanks for visiting - I hope you found this helpful and inspiring. Merry Christmas, Happy Hanukkah, Happy Kwanzaa, and Happy Winter Solstice to all, and to all a good night...stay warm!